Twenty-five years ago, a group of five high schoolers trekked through the High Sierra. Now, two of them—lesbian Kath and straight Adele—come back to repeat their journey and renew their friendship. In chapters that alternate between the women’s voices, they reveal their pasts, their thoughts, and their reactions both to the scenery and to each other. For Kath, the sublime topography of the Sierra is inspiring and invigorating. Adele is more trepidatious. Over the course of their journey up to High Country, old stories, tensions, dreams, and disappointments come to the surface. 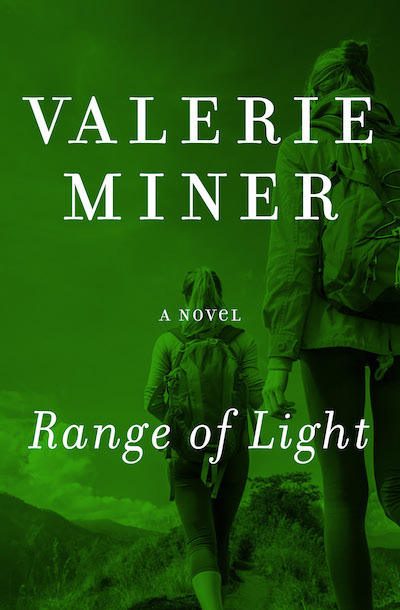 A unique study of the complexity of the bonds between women, this transporting book, written with elegance and restraint, is among Miner’s finest work.